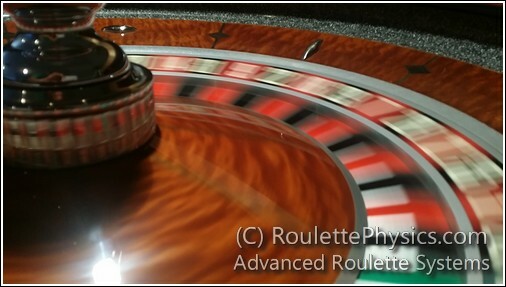 The best roulette system is explained at roulettephysics.com (click link) but if you are developing your own system, the first thing you must know in order to learn how to win at roulette always is the house edge. There is a common view that casino always wins. It is partly true as in ideal conditions of absolutely accurate random number generation the chances of a casino to win are always higher than the odds of a player. In particular, for European single zero wheel casino’s winning chances are 2.7% higher than that of the player and for American double zero wheel probability of casino’s win is even greater and is equal to 5.3%. In other words, we can say that the house edge for European casinos is 2.7%, whereas for American casinos it is 5.3%. The concept of the house edge is based on simple mathematics and can be easily explained in the following example. The European single zero wheel has 37 pockets (figures from 1 to 36 plus 0). So in the case of betting on a single number the odds to win is 1 in 37. This means in case one person bets on the same number 37 times one after another, then, according to statistics this player will win once. If on the winning bet the person was given 36 units plus the return of the original bet, then as a final result this person neither lost nor won. However, the casinos’ payout for straight bets is only 35 to 1. Hence, beginning with 37 chips after 37 spins on the same number most likely you will end up with 36 chips on hand. This 1 chip difference is the profit of the casino which is equal to 2.7% (1 / 37 = 0.027). For persons who want to win at roulette always the most important point from stated above is that the house edge works properly in ideal conditions only. In reality, it is not possible to assure these ideal conditions on all real roulette wheels and here we will give the first tip on how to beat roulette – play on real roulette wheels only. Another important thing you should know to win at roulette always is that you must whether to learn existing ways or to create your own new method of prediction of the winning numbers. Prediction of the winning numbers may be based on physical defects of the real roulette wheel otherwise named wheel bias. Biased wheel results in some numbers spin more often than others. Knowledge of such sacred numbers makes odds of the player win much higher than casino’s. Especially, wheel bias gives to an aware player advantage of around 10%. Given significant profits of casinos with the house edge of only 2.7 / 5.3%, it is easy to imagine the success of the professional player with an edge of 10%. Wheel bias is the secret which brought more than 1 million USD to Garcia-Pelayo family who started with the bankroll of about 2 000 USD only. This technique requires observation of roulette wheel, recording statistics of winning numbers and definition of the numbers which spin more often than others. 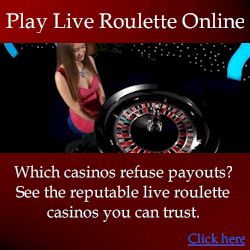 This is the closest you’ll ever get to play roulette and never lose (click link). The next method to forecast the winning figure is to use a roulette computer – an electronic device which calculates the rate of the wheel and the ball as well as defines the pocket the ball most likely will bounce to. 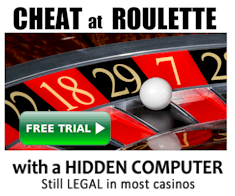 Usage of roulette computer may give up to 50% advantage to its owner. Stories of Mr. Kovacs and the Ritz team evidence efficiency of this approach. The important feature of this method is that the player needs a chance to bet after the ball is released. To insure this, it’s very important for the player to remain unnoticed by the casino’s staff as they may temporarily forbid any late bets until the professional player leaves the table. For advantage players, it is highly important to be unnoticed by the casino’s team, as opposite may lead to banning of the player. To remain unnoticed be modest. Don’t win during one session the amount over 100 times higher than the minimum bet on the table. For example, if the minimum bet is 10 USD, then winning up to 1 000 USD from such table is normal, higher winning may attract attention to the player. Another tip for being invisible is not to play too often with the same casino staff. In order to win at roulette always be ready to spend time playing regularly. Advantage player is a profession and hence requires time and systematic approach. Even with the usage of the roulette computer which is one of the most effective winning techniques you should dedicate to playing around 20 hours per week. Regular play with attentiveness, patience and modesty are a proper mix to beat roulette.